Hans G. Dransfeld, M.D. is a native of Huntington and graduated from West Virginia University School of Medicine. Dr. Dransfeld completed a residency in diagnostic radiology and a fellowship in body imaging at the University of Maryland Medical System. Dr. Dransfeld is Chief of the Department of Radiology at St. Mary’s Medical Center, President Of Radiology, Inc. and is proficient in plain film radiography, CT, ultrasound, nuclear medicine, MRI, PET, and mammography exams as well as performing interventional radiology procedures. Dr. Dransfeld is board certified in diagnostic radiology and has been with Radiology, Inc. since 1990. Peter A. Chirico, M.D. is a native of Newark, NJ, and graduated from Rutgers Medical School. Dr. Chirico completed a residency in diagnostic radiology and a fellowship in body imaging at the University of Maryland Hospital. Dr. Chirico is the Chief of the Department of Radiology at Cabell Huntington Hospital and is Professor and chairman of the department of diagnostic radiology, Joan C. Edwards School of Medicine, Marshall University. Dr. Chirico is proficient in plain film radiography, CT, PET, ultrasound, nuclear medicine, MRI, and mammography exams with special interest in pediatric radiology and women’s imaging. Dr. Chirico is board certified in diagnostic radiology and has been with Radiology, Inc. since 1991. Rodger A. Blake, M.D. is a native of Pequanock, NJ, and graduated from John Hopkins University School of Medicine. Dr. Blake completed a residency in diagnostic radiology and a fellowship in body imaging at the University of Maryland Hospital. Dr. Blake is the Medical Director of Tri-State MRI and is proficient in plain film radiography, CT, ultrasound, nuclear medicine, MRI, PET, and mammography exams. Dr. Blake is board certified in diagnostic radiology and has been with Radiology, Inc. since 1992. Marsha S. Anderson, M.D. is a native of Charleston, WV, and graduated from Marshall University School of Medicine. Dr. Anderson completed a residency in diagnostic radiology at the University of Maryland Medical System Hospital and a fellowship in body imaging at the University of Colorado Health Sciences Center. Dr. Anderson is the Chief of the Department of Radiology at Logan Regional Medical Center. Dr. Anderson is proficient in plain film radiography, CT, PET, ultrasound, nuclear medicine, MRI, and mammography exams. Dr. Anderson is board certified in diagnostic radiology and has been with Radiology, Inc. since 1994. Torin P. Walters, M.D. is a native of Williamson, WV, and graduated from West Virginia University School of Medicine. Dr. Walters completed a residency in diagnostic radiology from the University of North Carolina at Chapel Hill and mini-fellowship in musculoskeletal imaging from Duke University and University of North Carolina. Dr. Walters is proficient in plain film radiography, CT, PET, ultrasound, nuclear medicine, MRI, and mammography exams. Dr. Walters is board certified in diagnostic radiology and has been with Radiology, Inc. since 1994. Michael V. Korona, Jr., M.D. is a native of Roanoke, VA, and graduated from the University of Virginia School of Medicine. Dr. Korona completed a residency in diagnostic radiology and a fellowship in vascular and interventional radiology from George Washington University. Dr. Korona primarily performs interventional radiology procedures and is also proficient in plain film radiography, CT, ultrasound, and nuclear medicine. Dr. Korona is board certified in Interventional and Diagnostic radiology. He has been with Radiology, Inc. since 1995. Joseph W. Dransfeld, M.D. is a native of Huntington, WV and graduated from the Marshall University School of Medicine. 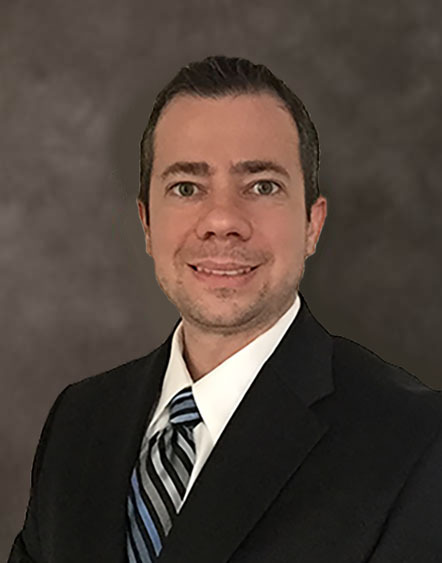 Dr. Dransfeld completed a residency in diagnostic radiology at the University of Maryland Medical System Hospital and a fellowship in neuroradiology at the University of Pennsylvania. Dr. Dransfeld is proficient in plain film radiography, CT, ultrasound, nuclear medicine, MRI and mammography exams. Dr. Dransfeld is board certified in diagnostic radiology and has been with Radiology, Inc. since 1997. Donald R. Lewis, Jr., M.D. is a native of Baltimore, MD, and graduated from the University of Maryland School of Medicine. Dr. Lewis completed a residency in nuclear medicine at the University of Arizona and a residency in diagnostic radiology and fellowship in trauma and musculoskeletal imaging from the University of Maryland. Dr. Lewis is proficient in plain film radiography, CT, PET, ultrasound, nuclear medicine, MRI and mammography exams. Dr. Lewis is board certified in diagnostic radiology and has been with Radiology, Inc. since 1997. Charles M. Siegler, M.D. is a native of Toms River, NJ, and graduated from the New Jersey Medical School. Dr. Siegler completed a residency in diagnostic radiology and a fellowship in body imaging at the University of Maryland Medical System Hospital. Dr. Siegler is proficient in plain film radiography, CT, PET, ultrasound, nuclear medicine, MRI and mammography exams. Dr. Siegler is board certified in diagnostic radiology and is a NIOSH certified B-Reader. He has been with Radiology, Inc. since 1997. Rick J. Compton, M.D. is a native of Huntington, WV, and graduated from the Marshall University School of Medicine. Dr. Compton completed a residency in diagnostic radiology at West Virginia University. Dr. Compton is proficient in plain film radiography, CT, ultrasound, nuclear medicine, MRI, PET and mammography exams. Dr. Compton is board certified in diagnostic radiology and has been with Radiology, Inc. since July 2000. 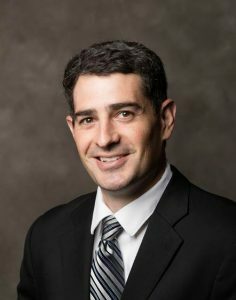 Eric L. Leonard, M.D. is a native of Alexandria, VA, and graduated from the Marshall University School of Medicine. Dr. Leonard completed a residency in diagnostic radiology at the University of Mississippi Medical Center. Dr. Leonard is proficient in plain film radiography, CT, ultrasound, nuclear medicine, MRI and mammography exams. Dr. Leonard is board certified in diagnostic radiology and has been with Radiology, Inc. since June 2002. Lee C. Haikal, M.D. is a native of Putnam County, WV, and graduated from the Marshall University School of Medicine. Dr. Haikal completed an internship in general surgery at Akron General Medical Center, his residency in diagnostic radiology at the University of Louisville Hospital and a fellowship in vascular and interventional radiology at Methodist Hospital, Indianapolis, IN. Dr. Haikal primarily performs interventional radiology procedures and is also proficient in plain film radiography, CT, ultrasound, and nuclear medicine. Dr. Haikal is board certified in diagnostic radiology and has been with Radiology, Inc. since March 2003. Paul D. Akers, M.D. is a native of Huntington, WV, and graduated from the Marshall University School of Medicine. Dr. Akers completed a preliminary medicine internship at Christ Hospital in Cincinnati, OH; He then completed a residency in diagnostic radiology and a fellowship in body imaging from The University Hospital, Cincinnati, Ohio. Dr. Akers is proficient in plain film radiography, CT, ultrasound, nuclear medicine, MRI, PET, and mammography exams. Dr. Akers is board certified in diagnostic radiology and joined Radiology, Inc. in July 2003. Robert J. Cure, M.D. is a native of Gary, WV, and graduated from the Marshall University School of Medicine. Dr. Cure also completed a transitional internship at Marshall. Dr. Cure then completed a residency in diagnostic radiology at the Medical College of Georgia, Augusta, GA. Dr. Cure is the Chief of the Department of Radiology at Three Rivers Medical Center and proficient in plain film radiography, CT, ultrasound, nuclear medicine, MRI and mammography exams. Dr. Cure is board certified in diagnostic radiology. Dr. Cure joined the group in 2003. Paul H. Blom, M.D. is a native of Brooklyn, NY, and graduated from the Medical College of Georgia. Dr. Blom completed an internship in general surgery and a residency in diagnostic radiology at St. Vincent’s Hospital and Medical Center of New York, NY and a fellowship in vascular and interventional radiology from New York Presbyterian Hospital, Columbia University, New York, NY. Dr. Blom primarily performs interventional radiology procedures and is also proficient in plain film radiography, CT, ultrasound, nuclear medicine. Dr. Blom is board certified in Interventional and Diagnostic radiology and is a senior member of the society of Neuro Interventional Surgery. He joined Radiology, Inc. in April 2004. Grant D. Petty, M.D. is a native of Louisville, KY and graduated from the University Of Louisville School Of Medicine. Dr. Petty completed an Internal Medicine internship at the University of Cincinnati in June 2002, his residency at Medical College of Georgia in diagnostic radiology and a Fellowship in Body Imaging. Dr. Petty is proficient in plain film radiography, CT, PET, ultrasound, nuclear medicine, MRI, and mammography exams. Dr. Petty is board certified in Diagnostic Radiology. He joined the group in July 2007. Keith Watson, M.D. is a native of Ashland, KY and graduated from the University Of Kentucky College Of Medicine. Dr. Watson completed a transitional internship and diagnostic radiology residency at University Of Kentucky College Of Medicine. Dr. Watson is proficient in plain film radiography, CT, PET, ultrasound, nuclear medicine, MRI, and mammography exams. Dr. Watson is board certified in Diagnostic Radiology. He joined the group in July 2007. James Reynolds, M.D. is a native of Cincinnati, OH and graduated from Marshall University School Of Medicine. Dr. Reynolds also completed a Surgery Internship at Marshall University. Dr. Reynolds completed his residency at the University Of Maryland in Diagnostic Radiology and his fellowship at John Hopkins Hospital in vascular & interventional radiology. He is board certified in Diagnostic Radiology. Dr. Reynolds joined the group in July 2007. M. Jason Akers, M.D. is a native of Huntington, WV, and graduated from the Joan C. Edwards School of Medicine. Dr. Akers completed a residency in diagnostic radiology and a fellowship in body imaging with special emphasis on musculoskeletal imaging from The University Hospital, Cincinnati, Ohio. Dr. Akers is accomplished in plain film radiography, CT, ultrasound, nuclear medicine, MRI, PET, and mammography exams. Dr. Akers is board certified in diagnostic radiology and is a NIOSH certified B-Reader. He has been with Radiology, Inc. since July 2009. Jeremy F. Cuda, M.D. is a native of Elkins, West Virginia and graduated from Marshall University School of Medicine. Dr. Cuda completed an Internal Medicine internship at Marshall University School of Medicine in June of 2007. Dr. Cuda completed diagnostic radiology residency and a Musculoskeletal Imaging fellowship at Wake Forest University Winston-Salem, NC. Dr. Cuda is proficient in plain film radiography, CT, PET, ultrasound, Nuclear medicine, MRI, and mammography exams. Dr. Cuda is board certified in Diagnostic Radiology. He joined Radiology, Inc. in July 2012. Joshua D. Gibson, M.D. is a native of Kenova, West Virginia and graduated from Marshall University, Joan C. Edwards School of Medicine. Dr. Gibson completed a residency in diagnostic radiology at University of KY and a fellowship in Neuroradiology at University of North Carolina in Chapel Hill, NC. Dr. Gibson is proficient in plain film radiography, CT, PET, Ultrasound, Nuclear Medicine, MRI, and Mammography. Dr. Gibson is board certified in diagnostic radiology and has a certificate of additional qualifications in Neuroradiology. He joined Radiology, Inc. in July 2013. Matthew E. Maxwell, M.D. is a native of Lexington, Kentucky and graduated from University of KY School of Medicine. Dr. Maxwell completed an Internal Medicine internship at University of Kentucky School of Medicine in June of 2009. Dr. Maxwell completed diagnostic radiology residency and a Musculoskeletal Imaging fellowship at University of KY School of Medicine in June 2014. Dr. Maxwell is proficient in plain film radiography, CT, PET, ultrasound, nuclear medicine, MRI, and mammography exams. Dr. Maxwell is board certified in Diagnostic Radiology. He joined Radiology, Inc. in Oct. 2015. Nathan R. Hatfield, M.D. is a native of Huntington, WV and graduated from Marshall University Joan C. Edwards School of Medicine. Dr. Hatfield completed a residency in Diagnostic Radiology and a fellowship in Vascular and Interventional Radiology at University of South Florida, Tampa, FL. Dr. Hatfield primarily performs Interventional Radiology procedures and is also proficient in Plain Film Radiography, CT, MRI, Ultrasound, and Nuclear Medicine. Dr. Hatfield is board certified in Diagnostic Radiology. He joined Radiology, Inc in July 2017.